Joint Base Langley-Eustis (JBLE) is the creation of combining the Army's Fort Eustis and the Air Force's Langley Air Force Base. Although geographically separated, the two bases are both steeped in American history. 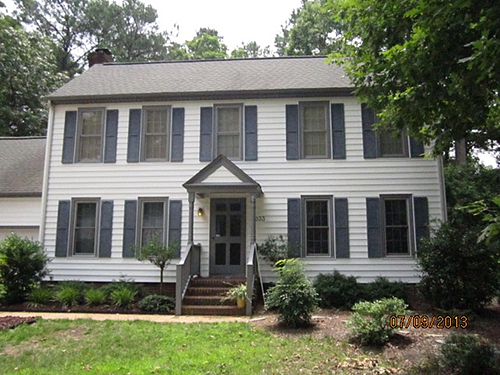 The properties surrounding JBLE and listed for sale or rent with MilitaryByOwner have the look and feel of historic homes, but include the conveniences today’s buyers and renters are looking for in Yorktown and Williamsburg, Virginia. These three Homes of the Week check many of the “must have” boxes for home shoppers. 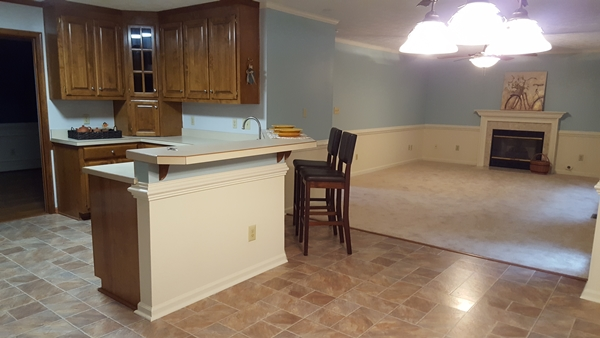 You’ll find open concept kitchens, hardwood floors, fenced yards, and more standout features. Kids love the historic activities in and near Yorktown. Meanwhile, parents love rental homes with a fenced backyard for hours of play. They also prefer a separate master suite for privacy. The four-bedroom home on Aspen Boulevard has the perfect location and living space to please both parents and children. 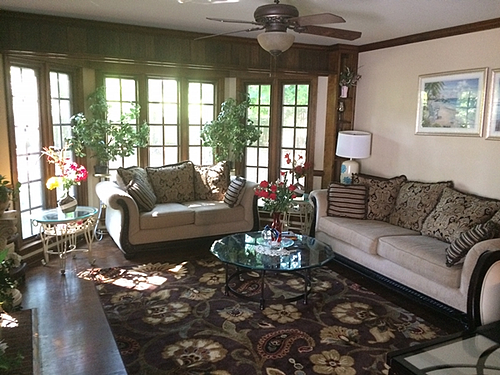 Easy to clean hardwood floors are found throughout the first floor, and three comfortable, carpeted bedrooms are upstairs with their own full baths. Downstairs, a quaint family room overlooks the wooded backyard via a wall of windows that bring light into the space for Sunday afternoon lounging. 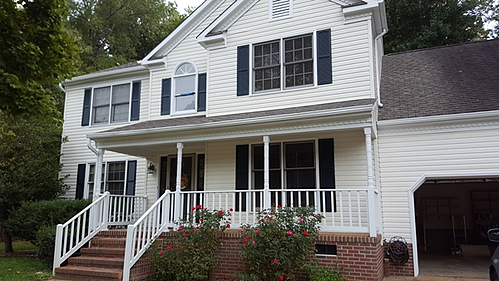 If more family time is a priority while stationed at JBLE, this rental in Yorktown makes quality time easy. Buyers who are searching for the ideal combination of the look of a historic house that matches the charm of Yorktown, but inside has current upgrades and an open concept, here’s the perfect pick for you. New hardwood floors downstairs and new carpeting upstairs invite the next homeowners to settle in and make the place their own. 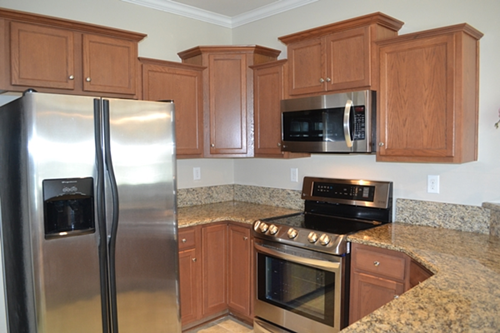 The open concept kitchen has stainless appliances and easy-on-the-feet, soft tile. Historic homes aren’t known for their energy efficiency, but this house has more than its share of energy saving technology. An updated HVAC system saves money, as does the extra insulation and tankless instant water heater. A finished room over the garage makes for a fifth bedroom, guest suite, or home office. This property truly has the best elements of both the historic and modern real estate! Williamsburg is bursting with historic attractions and events for newcomers to explore. It’s not only perfect for family trips to Colonial Williamsburg, but also convenient to the everyday living necessities like Trader Joe’s and Walmart. The home’s location is an ideal mix of old and new amenities. There’s no reason to wish for Colonial inspired finishes inside, because the crown molding, chair railing, and substantial window trim add depth and coziness to an already welcoming home. Local outdoor neighborhood amenities are plentiful for fun at the basketball court and playgrounds. If walking, running, or biking are your go-to choices for activities, then the Greensprings trails are a great resource to have nearby. With a desirable commute from Joint Base Langley Eustis, Yorktown and Williamsburg have so much to offer new families. The cities embrace their historic roots, but also offer modern styled homes and shopping. The military presence in this region is plentiful as are rental and home purchase options. 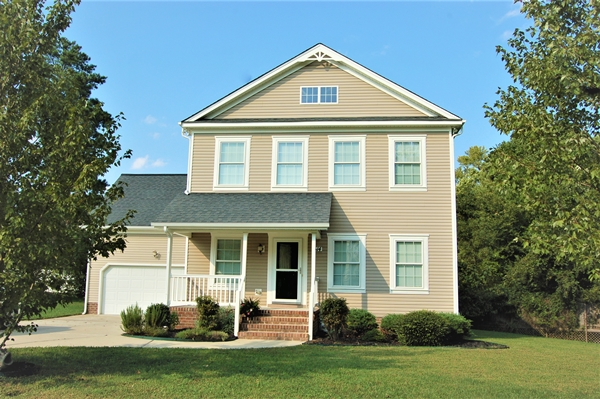 Nearby, Seaford, Poquoson, Newport News, Chesapeake, Norfolk, Hampton, and Virginia Beach also have an inventory of homes listed with MilitaryByOwner.